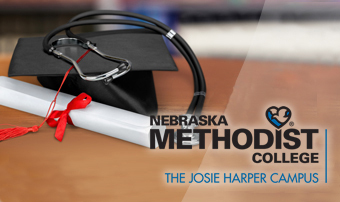 Nebraska Methodist College, an affiliate of Methodist Health System, offers 47 healthcare degree and certificate programs, including the Doctor of Nursing Practice (DNP). Nebraska Methodist College’s fully accredited online DNP program has been designed from the ground up to meet the needs of BSN-, MSN- and APRN-nurses. Learn about the Family Nurse Practitioner, Adult Gerontology-Clinical Nurse Specialist, APRN to DNP and Public Health Policy tracks from the faculty who know them best at this fall’s DNP Preview sessions. On-Campus Preview: Oct. 23, 4:30 – 6 p.m. Virtual Option: Oct. 31, Noon – 1 p.m.
Log-on info will be provided after you register. For more information and to register for either session, contact Laurel Zentner, recruitment and admissions coordinator, at (402) 354-7170 or laurel.zentner@methodistcollege.edu. For a printable DNP Preview event flyer, click here. Remember that financial assistance is available through the MHS Tuition Assistance Program for eligible employees who are continuing their education based on specific guidelines and requirements. Learn more on mhsintranet under Human Resources – MHS Benefits – Pursuing Your Dreams: Tuition Assistance, or click here for a direct link.